The Ariana Institute’s Mind-Body Therapy Manual is part of a series of massage manuals that are designed to help deepen the knowledge of current massage therapists and introduce new massage therapists to the world of massage and bodywork. This manual incorporates detailed protocols, photos, links to online videos, marketing strategies, personal stories, and resources to encourage a comprehensive understanding of mind-body therapy modalities beneficial for your massage practice and your personal well-being. Here’s a personal story about Reiki featured in the Mind-Body Therapy Manual. Reiki comes to people in myriad ways; some experiences begin in a seemingly subtle way and then expand to a profound place in our lives. That was certainly the case for me. I began traveling on the path of Reiki many years ago when I was part of a meditation group in Austin. One of my fellow–meditators, Sherry, introduced me to the benefits and protocols of Reiki. We talked about how the Reiki symbols can be used as a centering technique to help still the mind and stay steady in a fast–paced world. I was immediately attracted to the seemingly simple and noninvasive modality. In addition to our conversations, Sherry offered to give a Reiki session to me. That became a pivotal turning point in my life. I felt peaceful, relaxed, and centered during and after the session. Upon further reflection, I noted that I felt significantly transformed by the experience. The racing thoughts, or as we called them in our meditation classes, the “jumping monkeys,” were stilled and calm; it became easier to be focused in the present moment instead of feeling distracted by a constant litany of thoughts that drew me away from living a focused life. I was so impressed that I very quickly made a decision to study Reiki in order to deepen my knowledge and begin sharing this wonderful modality with others. 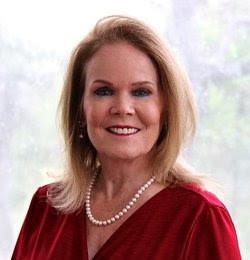 I was offered an opportunity to study Reiki Level One, Reiki Level Two, and Reiki Level Three (Master/Teacher) with Denise, a wonderful woman from Wimberley. She took me under her wing and included me in her Reiki classes. I was going through a very challenging time in my life and was just about as far from centered as I had ever been. Learning about Dr. Mikao Usui’s Reiki lineage brought comfort and focus to my life. I was very grateful. Little did I know at the time that I would eventually utilize my Reiki Level Three training with Denise to become a Reiki instructor and begin offering courses for others. Not only did I offer Reiki treatments, either as an independent modality, or in conjunction with other treatments, after several years of practicing I also began researching Reiki for the development of my Reiki course notebooks. It was a very profound time of growth and expansion for me. I learned to approach the world with more of a calm mind and a more peaceful and mindful consciousness. Especially meaningful ways of utilizing Reiki are for clients who are suffering from PTSD and prefer a light touch or prefer to have the therapist’s hand hovering a few inches above the body, and for oncology clients who benefit from energetic holding over certain areas of the body where touch would not be indicated. The beauty of Reiki is that it is non–invasive and it can be offered anywhere, with the client fully clothed, or it can be offered in conjunction with other modalities including deep tissue therapy, Swedish massage, prenatal massage, and facial massage, to name a few. It is with gratitude that I continue on the Reiki path, teaching and practicing, and observing the Reiki principles in my daily life. The experience of being introduced to Reiki has been profound and transforming. I love the seemingly subtle nature of Reiki and the dynamic changes that I have experienced and have witnessed occurring in my clients and students. As J. Krishnamurti so beautifully shared, “When the mind is no longer seeking, no longer breeding conflict through its wants and cravings, when it is silent with understanding, only then can the immeasurable come into being.” It is through focus on my Reiki path that the immeasurable has come into being and chaos has been replaced with peace. Ariana Vincent is a Reiki Master Teacher and CEO of the Ariana Institute. She was awarded the 2015 CE Provider of the Year Award by the Alliance for Massage Therapy Education. She is a Nationally Certified Massage Therapy Instructor whose classes are accepted throughout the United States. Ariana is also a Massage Therapy Hall of Fame Honoree and author of the Ariana Institute’s therapy manual series available on Amazon. 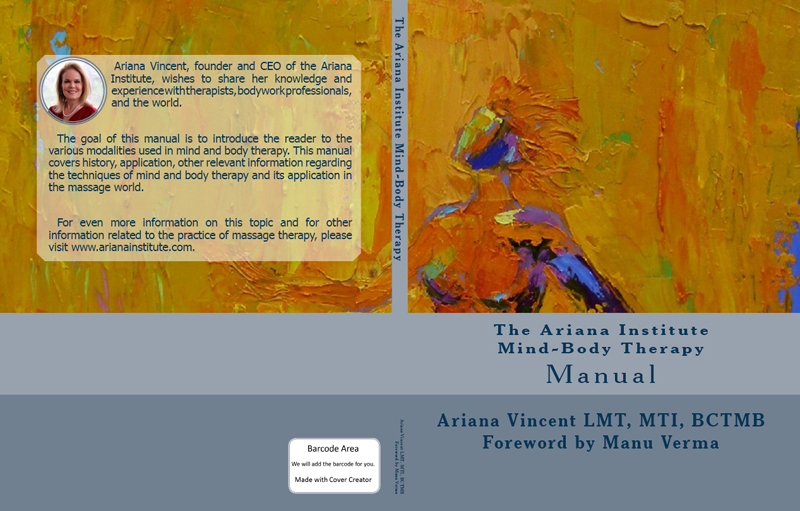 To read the foreword of the Mind-Body Therapy Manual, visit https://www.arianainstitute.com/the-ariana-institutes-mind-body-therapy-manual-and-ce-courses/. The Ariana Institute’s video introduction to the Soothing PTSD and Trauma, Reiki Level One, Level Two, as well as Level Three (Master/Teacher) CE courses can be accessed on the Ariana Institute’s YouTube Channel at www.youtube.com/user/ArianaInstitute. To order your copies of the Ariana Institute’s Mind-Body Therapy Manual, visit www.amazon.com/author/arianavincent.